This book focuses on key simulation and evaluation technologies for 5G systems. Based on the most recent research results from academia and industry, it describes the evaluation methodologies in depth for network and physical layer technologies. The evaluation methods are discussed in depth. 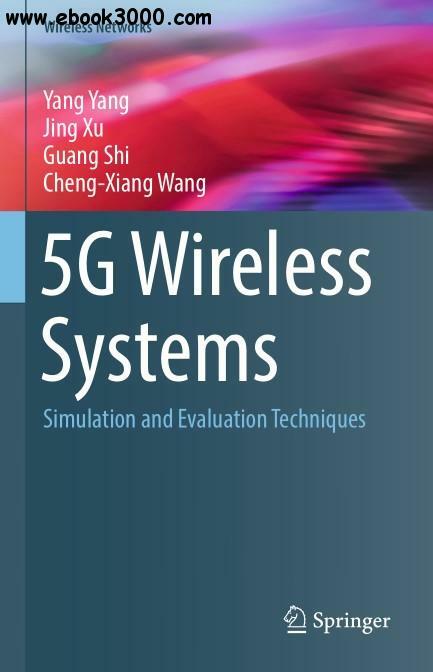 It also covers the analysis of the 5G candidate technologies and the testing challenges, the evolution of the testing technologies, fading channel measurement and modeling, software simulations, software hardware cosimulation, field testing and other novel evaluation methods. The fifth-generation (5G) mobile communications system targets highly improved network performances in terms of the network capacity and the number of connections. Testing and evaluation technologies is widely recognized and plays important roles in the wireless technology developments, along with the research on basic theory and key technologies. The investigation and developments on the multi-level and comprehensive evaluations for 5G new technologies, provides important performance references for the 5G technology filtering and future standardizations. Students focused on telecommunications, electronic engineering, computer science or other related disciplines will find this book useful as a secondary text. Researchers and professionals working within these related fields will also find this book useful as a reference.